Stem Casters with Grey Polyurethane Wheels – Monroe Kitchen Equipment, INC. 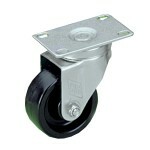 Medium duty threaded stem casters furnished with ball bearings. Full 1-1/4″ (32mm) tread width. Standard stem size – 1/2-13 x 1-1/2″. Load Capacity 250 lbs. (110kg.). 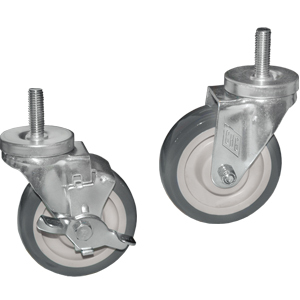 Mounting Plate Size: 2-3/8″ x 3-5/8″ (60mm x 92mm) With Brake or without.